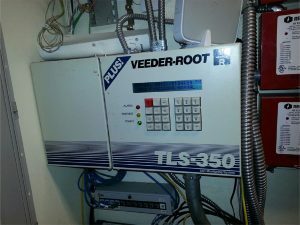 Veeder-Root retail petroleum solutions for gas station fuel monitoring and retail fueling, helps you do more than meet compliance requirements. Our solutions, designed with highly customizable fuel tank gauges and flow meters, helps maximize profits and provides peace of mind. Veeder-Root offers the most comprehensive software, probe and sensor offerings in the business. Reduce operations costs in managing petroleum for your tanks. Improve tank calibration that enables variance reduction. Allows for less inventory and run-out with our predictive solutions. Provide loss prevention and other process improvement features. Our full line of technologically advanced tank monitoring systems allows you to take complete control of fuel management, including inventory and environmental considerations. Franklin Fueling Systems offers remote monitoring, probes & sensors, line leak detection, tank gauge and hardware and software solutions to keep your business flowing.